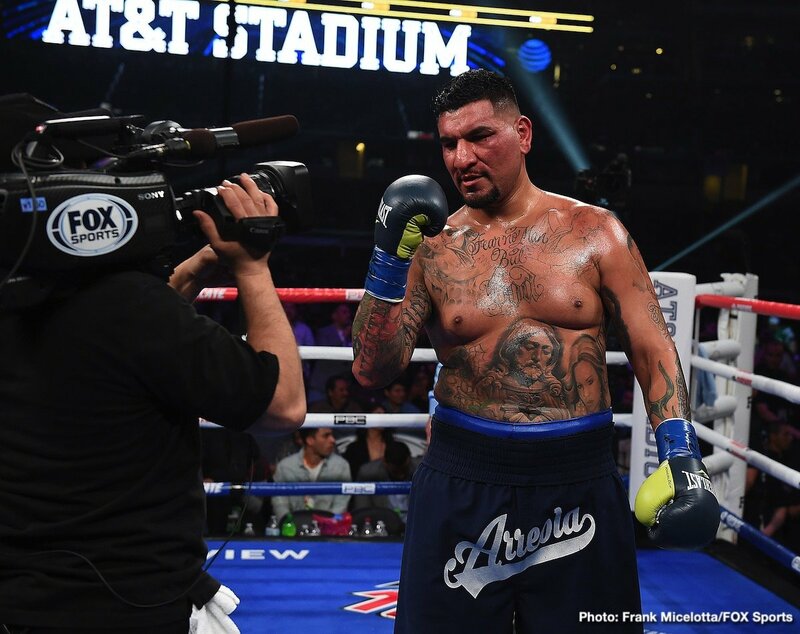 At age 38, long-time heavyweight contender Chris Arreola showed last night that he has a good deal left to offer. 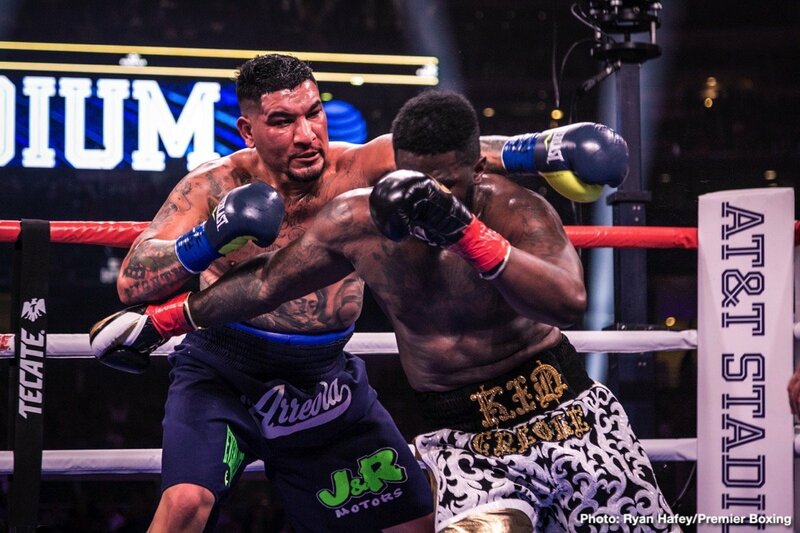 Serious, perhaps as never before due to how the end is not too far away, Arreola was way too strong, powerful and just plain good for unbeaten but previously untested Jean Pierre Augustin of Haiti. “The Nightmare” proved to be just that for the 33 year old lefty, backing him up, beating him up and then dropping him twice in the third. 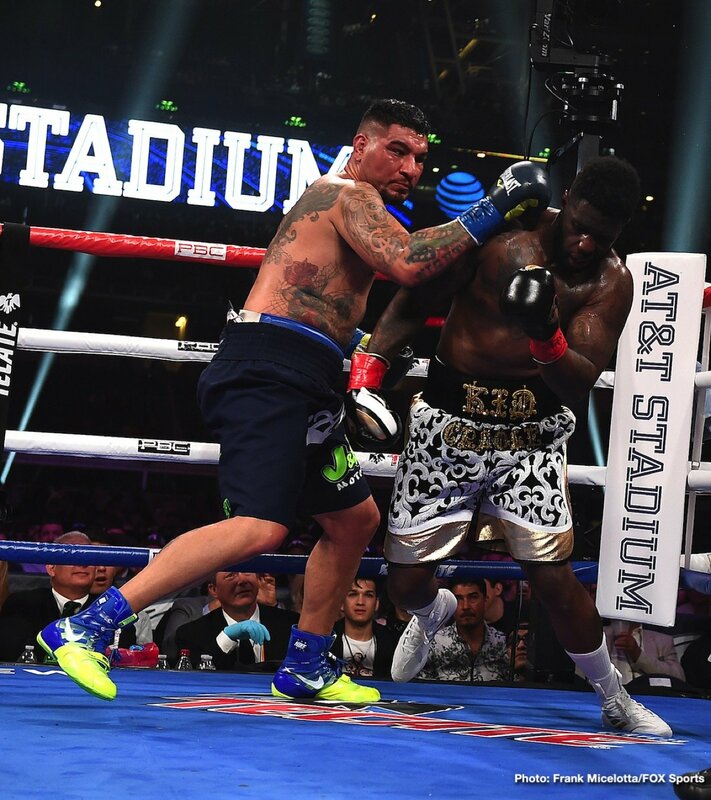 Now 38-5-1(33) Arreola insists he is “going for the title.” “I’m title-chasing not cheque-chasing,” Arreola said in victory. Augustin, now 17-1-1(12) would not disagree. A little slow in the opening round until he got going properly, Arreola was smiling as he fought. In good shape at 239 pounds, the former four-time world title challenger appeared to deck Augusin in the first-round but the third man in the ring ruled it a push down. Still, the writing was on the wall already. Augustin showed flashes of skill and speed of hand but he was just outgunned. 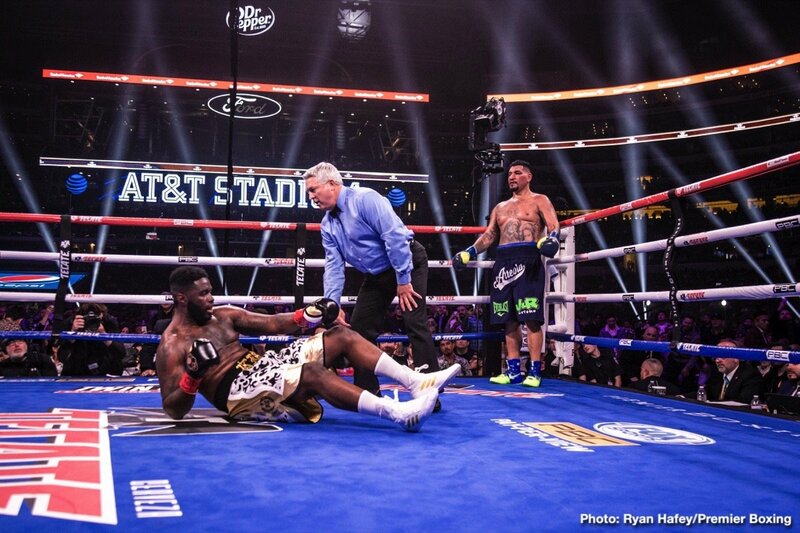 Showing signs of distress in flopping to the mat more than once, Augustin was finding out how tough a fit and focused Arreola really is. The ending came suddenly in the third and Augustin had the look of a man who did not know what hit him. As good as Arreola looked last night it must be said that Augustin was a big disappointment. Of course it could be argued that Arreola MADE him look disappointing. 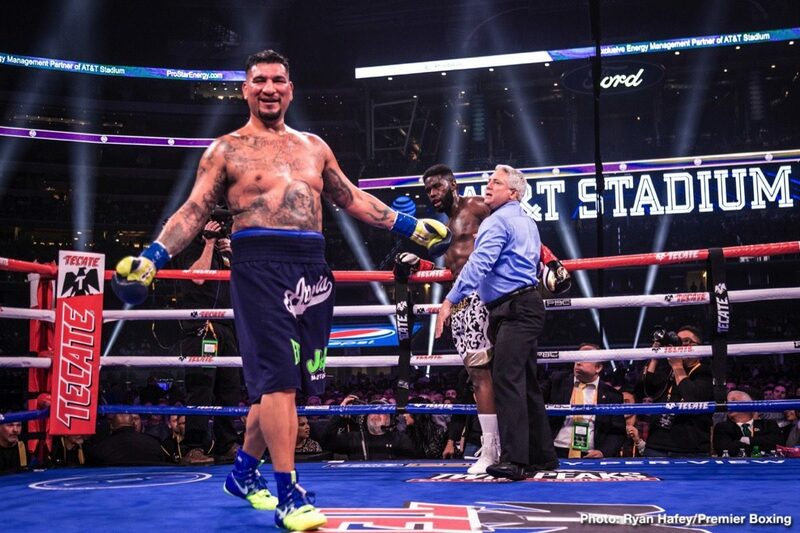 So what next for Arreola? Still very popular, still a real force to be reckoned with and, perhaps more dedicated to training than ever before at this late stage of his career, the Mexican/American may well get another title shot. If he can see off a top-10 guy next, who knows. 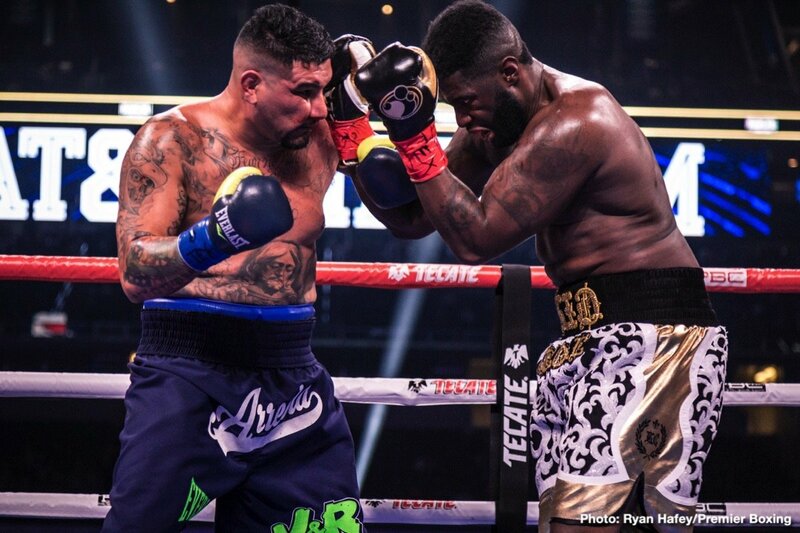 Arreola has been a pro for over 15 years but he is not tired of this game yet. Far from it. 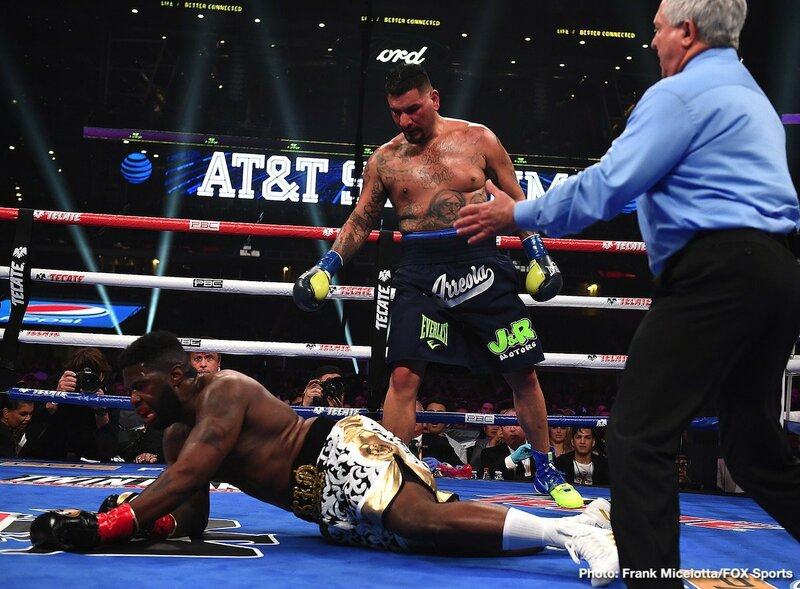 For as long as he does fight on, Arreola figures to entertain us all.